On 3rd Street as you leave the downtown Downey area, there is this vacant lot. 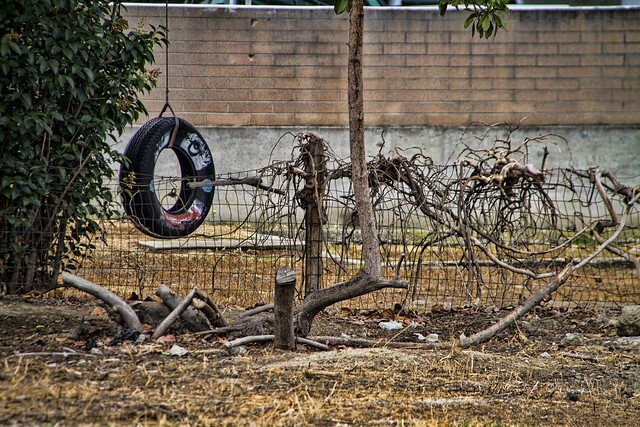 It has been vacant for as long as I can remember, but recently I noticed this tire swing hanging from a tree in the lot. Who used to play there and when? It just kinda makes you wonder. "Even as I travel the cities, I'm more at home in the vacant lots."